Two weeks ago Buri Buri went big for Computer Science Education Week and the Hour of Code. The PTA would like to thank Principal Victoria Dye for her hard work putting together this exciting week of learning! We began with a rousing kick-off assembly that included an inspiring address from Buri parent and SSFUSD alum Luis Madrigal, a drone flight, and even a "visit" from President Obama! 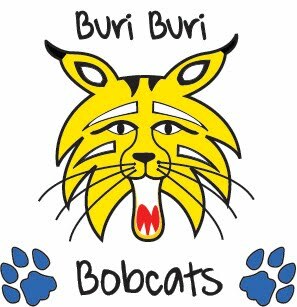 Buri Buri students made stop-motion movies and experimented with Sphero robots. They studied electricity by making LED creatures and squishy circuits. All classes spent time working on code.org and playing programming games. Buri Buri is immensely grateful to the SSF Public Library who supported our computer science week with library staff and awesome makerspace equipment and their 3-D printer. Thank you so much! We hope all Buri families will continue to encourage their kids to code this year, especially during winter break! Have your kids trade an hour of video games to learn to program video games! The Stop-Motion movie app used was: Stop Motion Studio Use with your own toys and a tablet stand. Tablet stands are very inexpensive at diaso or the dollar store. Visit the SSF Public Library with you kids to try out the 3-D printer. Bring your own SD card or ask to borrow one from the library, plan to stay at least 1 hour. You can make an appointment if you like. 3-D printing use is free and library staff will help out! We hope all have a fun and educational winter break! Restaurant Night Tuesday 12/13/16 Pieology! Restaurant Night will occur at Pieology, located at 309 Gellert Boulevard in Daly City on Tuesday, December 13, 2016, from 3:00pm – 7:00pm. You’ll be able to make your own pizza and/or salad, from various traditional, healthy, and tasty ingredients! A flyer was sent home last week or print here: PIEOLOGY RESTAURANT NIGHT FLYER Please make sure to present the flyer at the time of purchase (either the physical copy or electronic copy on your cell phone or tablet) so that your Buri Buri PTA can collect a portion of the proceeds. Thank you for your help in making this event a success!